Since the start of this year, Cision has been monitoring online mentions of Canada’s 150th anniversary through an ongoing share of voice study to determine national engagement. Since the official campaign kick-off, the search term “Canada 150” has been mentioned over 1.4 million times online, with thousands of mentions per day. On Canada Day alone, the term was mentioned over 450,000 times, and accounts for 30 per cent of all Canada 150 mentions online this year. It’s not just Canadians talking. 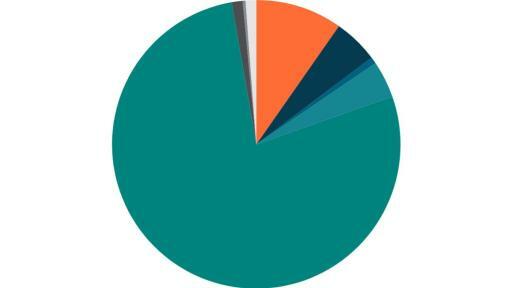 So far, 110 countries across Europe, Asia, Australia, and Africa have joined the online conversation. The study also found that while 77 per cent of these mentions are coming from Twitter, the conversation is happening everywhere — blogs, Instagram, news websites and even Reddit. News releases have played a significant role in proliferation of this conversation; on days where Canada 150 content was distributed using Cision’s Canada Newswire network, mentions of Canada 150 increased. 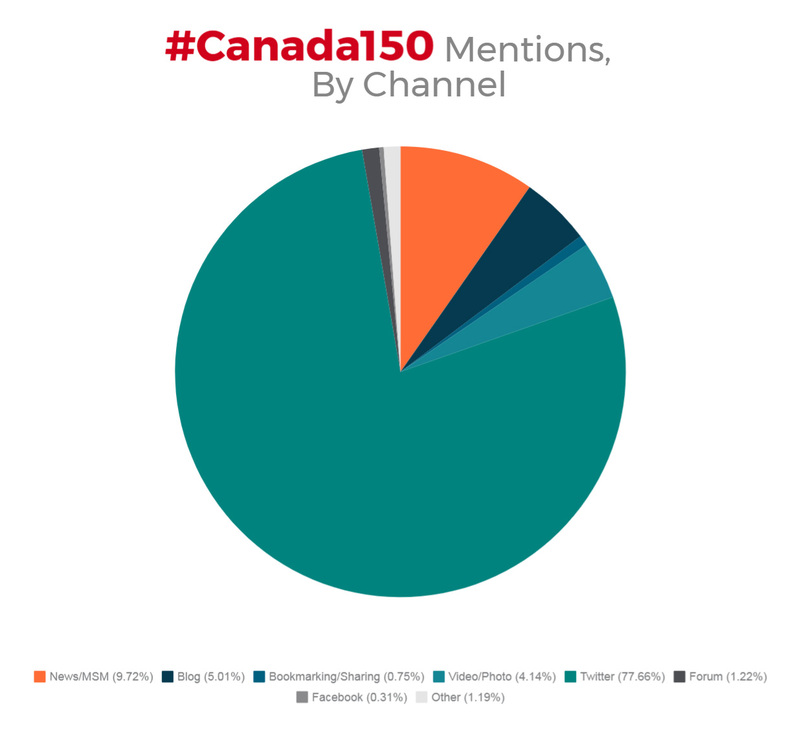 However, the study also found that only 17 per cent of all Canada 150 mentions involved brands, which signals that most of the chatter is organic (not paid), and that brands have been able to participate without dominating the conversation. Prominence on the newswire.ca homepage within a Canada 150 Hot Topics section – curated for all relevant news releases and multimedia content distributed by Cision (and powered by Canada Newswire). 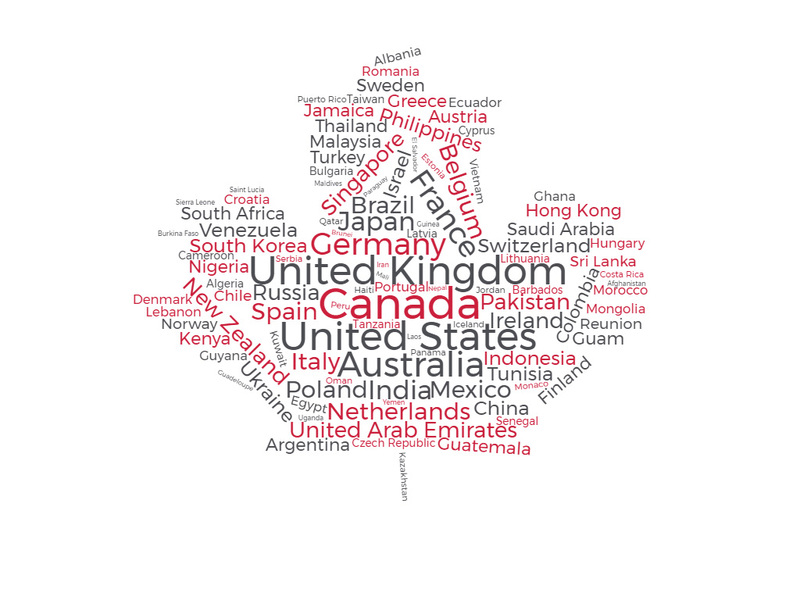 A Canada 150 monitoring and analytics package – tracks share of voice across web, social, print and broadcast media for any Canada 150 initiative, provides competitor analysis and performance against benchmark, shared in four quarterly reports. Bookmark this page to keep up with Cision’s Canada 150 share of voice study all year-long. Cision (NYSE: CISN) is a leading global provider of software that empowers marketing communications professionals to identify key influencers, craft and distribute strategic content, and measure meaningful impact. For more information about its award-winning products and services, including the Cision Communications Cloud™, visit www.cision.com and follow Cision on Twitter @Cision. 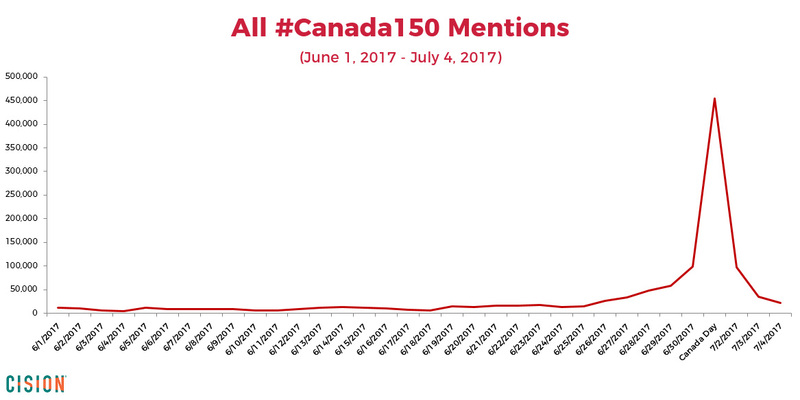 All #Canada150 mentions by channel. 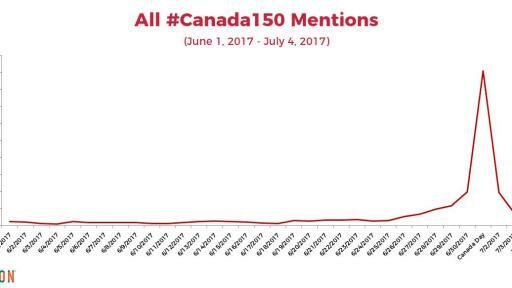 Seventy-seven per cent of all Canada 150 conversations are happening on Twitter. 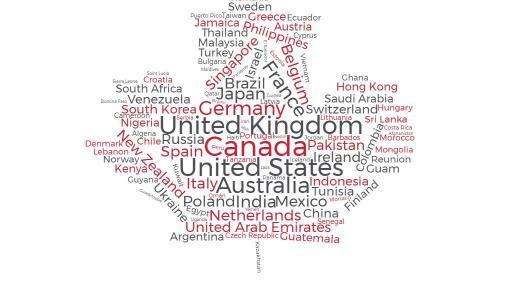 So far, 110 countries across Europe, Asia, Australia, and Africa have joined the Canada 150 conversation online.